Android Auto hasn't changed much since last year, which means that the revised double-DIN head unit models being revealed by car electronics companies this year won't be all that interesting. Case in point: Kenwood's three new Android Auto head units, which are being revealed at CES, are pretty uninteresting. One thing, however, is rather intriguing: the flagship model's stunning $1,599.95 MSRP. 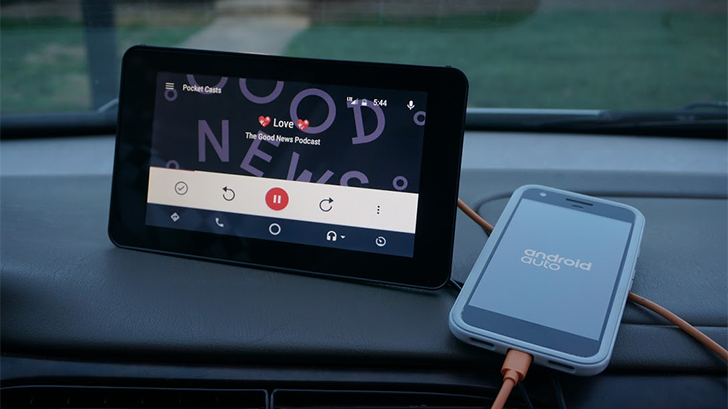 Android Auto-compatible head units aren't too difficult to find these days, but they cost a pretty penny and usually won't fit properly in older cars. A developer created a solution called Crankshaft to address both of those issues, and all you need to make it a reality is a Raspberry Pi 3 and a touchscreen. Alpine is on hand at CES to roll out yet another Android Auto head unit, but this one might be more appealing to those with limited dash space. The iLX-F309 has a big 9-inch LCD, but it doesn't need that much space available in your dash thanks to a wacky floating design. 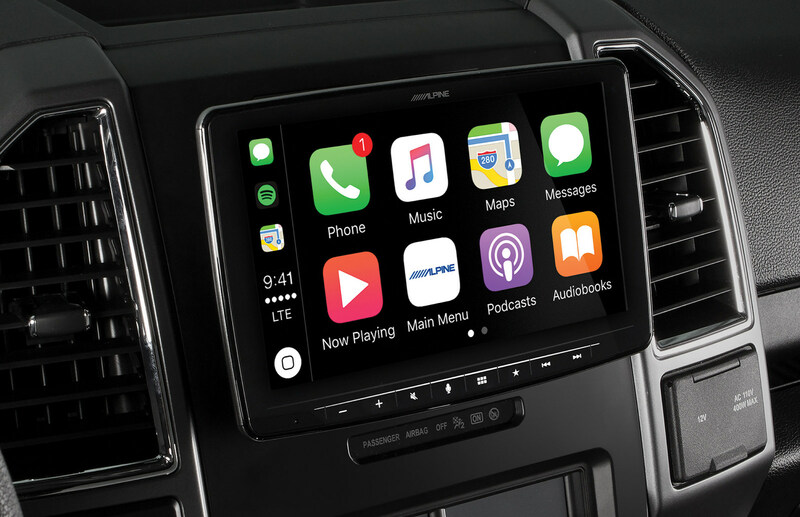 Yes, the image above shows CarPlay, but just pretend it's Android Auto. 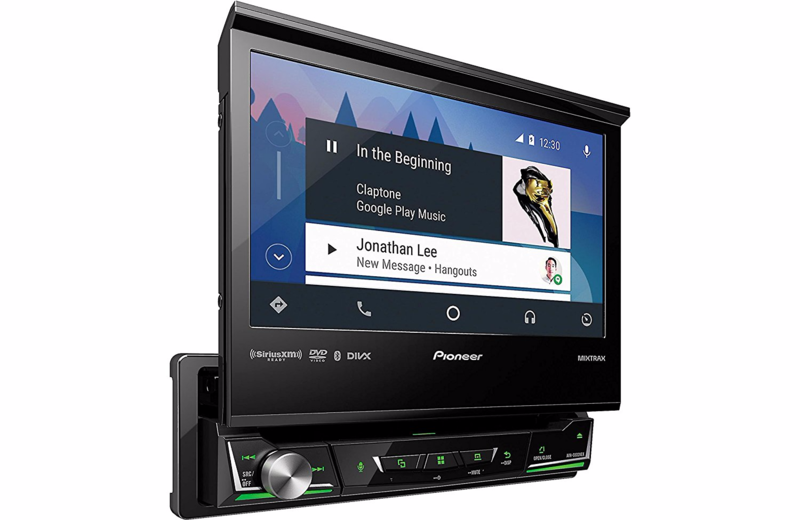 There is no shortage of Android Auto-capable head units on the market, but as of right now, there is only one of the single-DIN variety: the Pioneer AVH-3300NEX. Considering that a lot of people are still driving around in cars with single-DIN slots, that's pretty incredible. 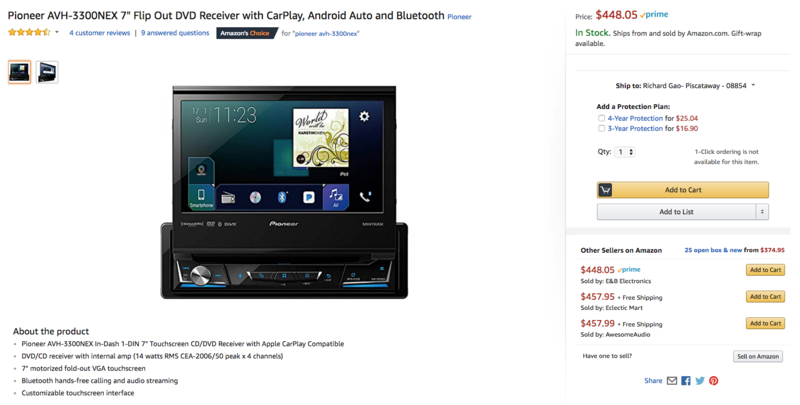 Now you can buy an AVH-3300NEX for just $448, $152 off the MSRP, from Amazon and Abt. 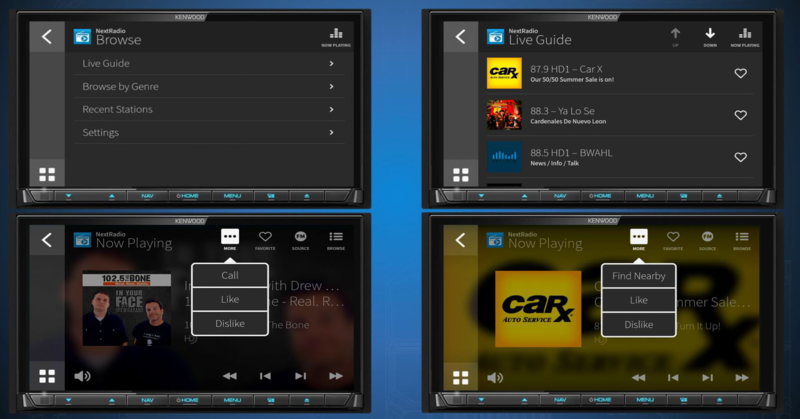 Android Auto is great, but paying $400+ for decent head units (even when they're on sale!) is a bit ridiculous. 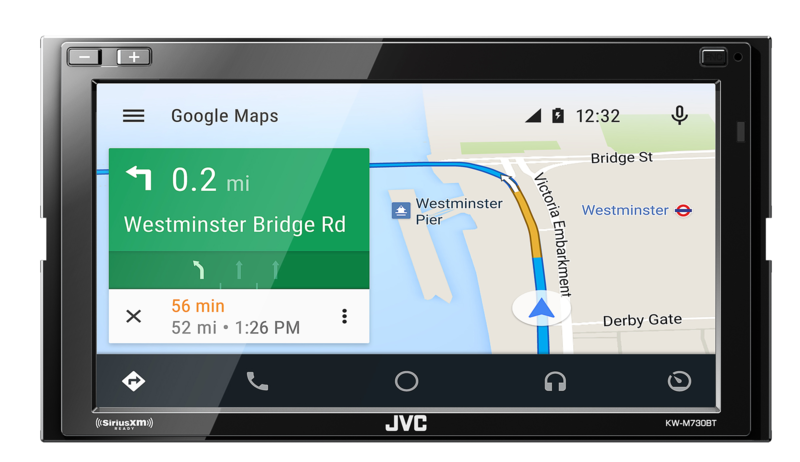 If you don't mind the lack of most physical buttons, one of JVC's Android Auto-compatible units is just $298.99 right now on Amazon, $51 lower than the usual price. Android Auto makes the in-car experience a lot nicer (at least when it's not bugging out), but it's tedious to have to plug your phone in every time you get in the car just to use it. We've been hoping for a wireless solution for some time now, and it seems like it's finally becoming a reality. JVCKENWOOD will have two receivers capable of wireless Android Auto on display at CES 2018. When Android Auto was first introduced, your only option for using it was to buy a brand new car. But soon enough, third-party head units (like the lovely Sony one pictured above) started showing up. Now that you can run the full Android Auto interface on your phone, you don't strictly need a compatible head unit, but they're getting cheaper anyways. 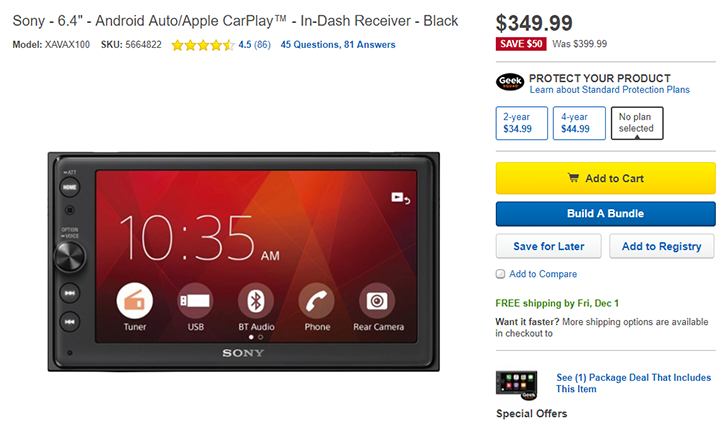 Now you can get the Sony XAV-AX100 and XAV-AX200 head units for $50 off the usual prices. 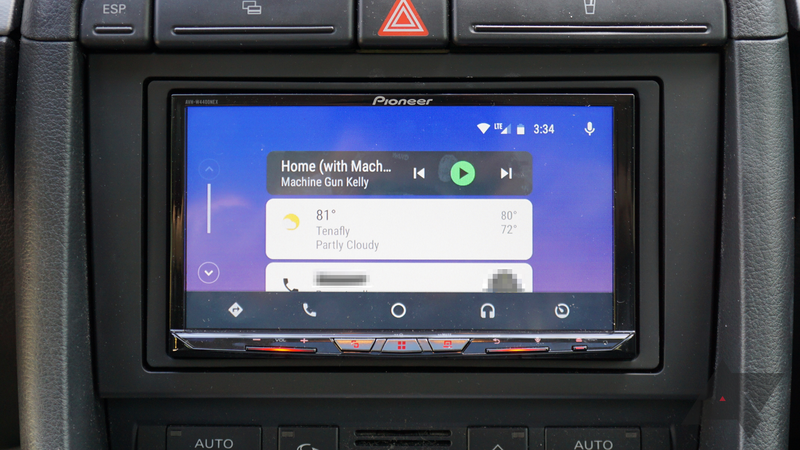 Pioneer is one of the most active manufacturers in the Android Auto head unit game, and that hasn't changed for 2017. The AVH-3300NEX, AVH-2330NEX, and AVH-2300NEX were all announced earlier this year, but they haven't been available for purchase until now. Interestingly, the 3300NEX is actually a single-DIN unit - a first for Pioneer's Android Auto lineup.